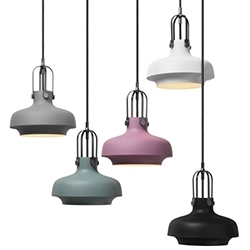 &Tradition & Space Copenhagen's Copenhagen Pendant SC6 at A+R. 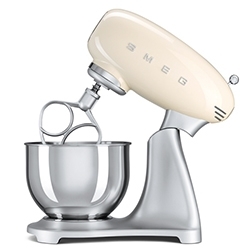 Smeg is doing "small domestic appliances" - from toasters and mixers to kettles and blenders. 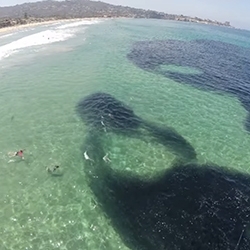 VIDEOScripps Institute of Oceanography at UCSD - amazing to see this massive school of anchovies approaching the pier. Great video looking at it from above and within. 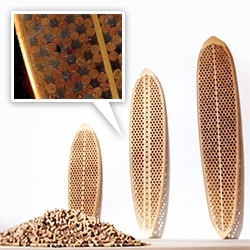 Rich People Things Surfboards are made of wine corks! "From the pine resin to the bees wax that we use as glue until the natural fiber and the bioresin we use to finish the boards, all our process try to increase that intimal conection to nature." 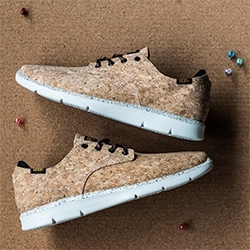 Vans OTW 2014 Summer Prelow “Cork” - Even Vans is getting in on Cork with their latest OTW shoe. 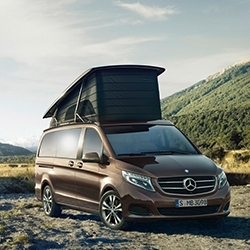 Mercedes-Benz Marco Polo - a luxurious pop top camper with a rear bench that electrically folds flat into a bed and the second berth under the pop-top, an onboard kitchenette with two gas burners, a sink and fridge with a 10 gallons of fresh water and more. 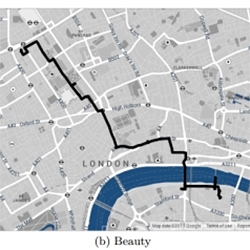 Forget the Shortest Route Across a City; New Algorithm Finds the Most Beautiful! Interesting research coming from Yahoo. 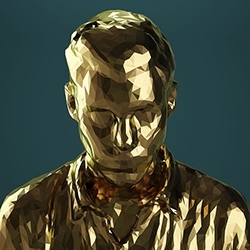 Mike Pelletier - Kinetic Portraits. 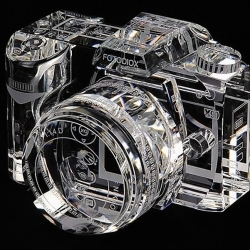 Printed on metallic paper and mounted behind perspex. 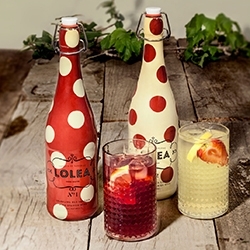 Three designs. 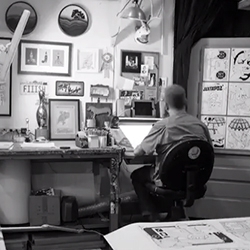 VIDEOThe Making of a Jeremy Fish Drawing! 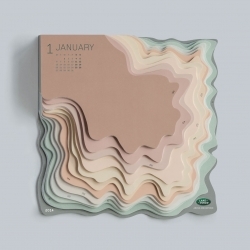 The Land Rover 2014 is a calendar designed by art director Zeynep Orbay. The 3D topographic map has a different shade for every month of the year. A'pot'hecary Posters. 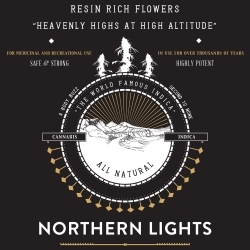 A hilarious re-imagining of old world medicine cure-alls, beautifully designed for the cannabis enthusiast of today. 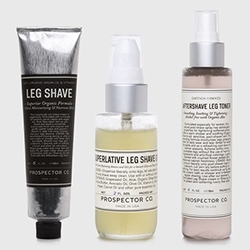 Prospector Co has shaving goods specially for Lady Legs! Leg Shave Shaving Cream, Superlative Leg Shave Oil, and Gwenda Hawkes Aftershave Leg Toner. 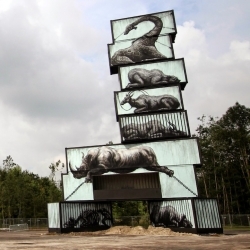 Shipping Containers Turned Into Canvas - Rock Werchter music festival held in Belgium is hosting street artists to use group of staked shipping containers into canvas. 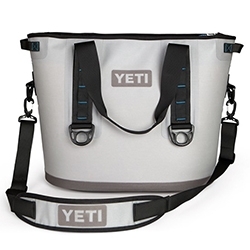 The YETI Cooler Hopper is coming soon - a soft cooler made of the same material as white water rafts. 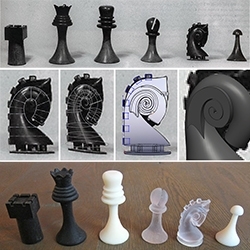 Marcel Duchamp's Chess Set as downloadable 3D Prints! 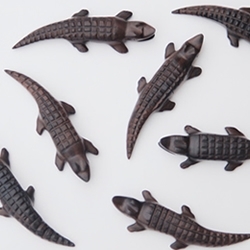 As digitized by artists and makers Scott Kildall and Bryan Cera as "ReadyMake"
Smart Crocodile, the beautiful wooden USB memory designed by Ania Wolowska. 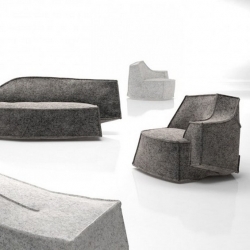 'Airberg' sofas and armchairs collection by French designer Jean-Marie Massaud for Offecct. 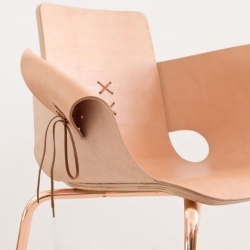 Martín Azúa, Spanish designer presents Shoemaker flesh, made of wood, leather and lace, this chair takes some codes of the shoe to draw the line. 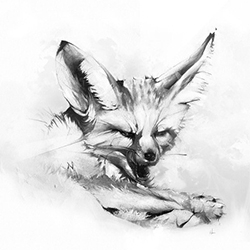 'Taste of Glory' Fox print by Alexis Marcou over at Eyes On Walls. 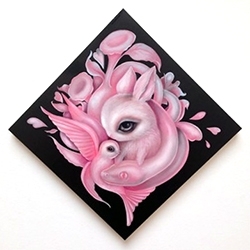 Also check out the stunning Owl, Rabbit, and Skull. 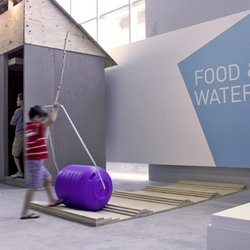 'Design for Social Impact' currently at Museum of Design Atlanta (MODA), tells the stories of 24 projects around the world that showcase design being used to improve lives. 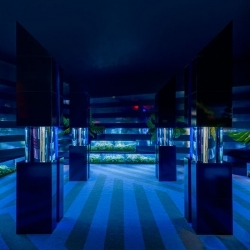 Exhibition design by InReality. 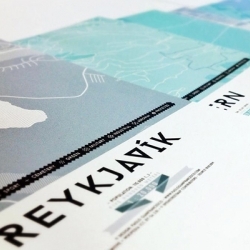 Spark Design Space in Reykjavik has opened the exhibition Urban Shape, a set of graphic maps based on Open Street Map data. 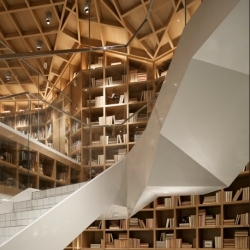 Designed by architect Paolo Gianfrancesco. 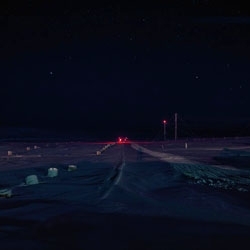 Polar Night in the high arctic, a stunning photo project by Montreal based photographer Thomas Kneubühler. 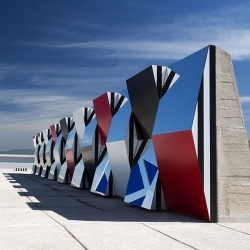 Rafael de Càrdenas of design studio Architecture at Large created Stepin One 2, an installation representing the diversity of cultural production in the city at MAD's Bienniale. 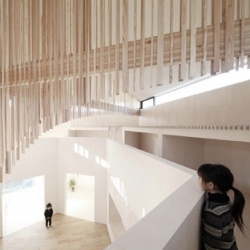 The beautiful interior of Katsutoshi Sasaki's Koro House. 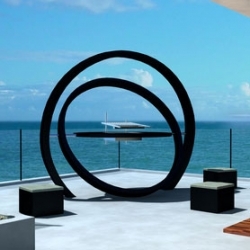 The sculptural Cesarre Kara Grill. 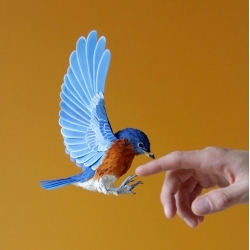 A new series of paper birds from Diana Beltran Herrera. 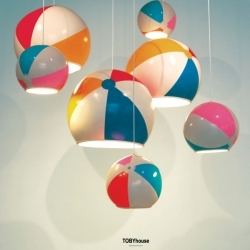 Tuna Knobs, Stick ‘em to your tablet and it’s a controller! 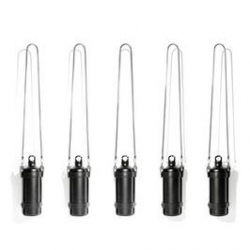 Want to make music anywhere, but also want physical controls? BOOM! 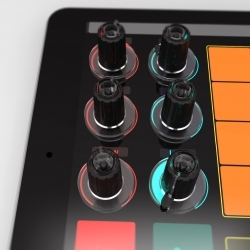 Tuna Knobs turn every touchscreen into a MIDI / DJ controller. 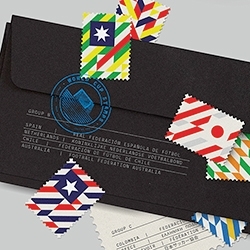 Hyundai Card Travel Library designed by Wonderwall Studio. 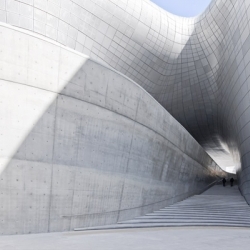 Zaha Hadid Architects designed a 38,000 sq m cultural complex clad in luminous, perforated aluminum in Seoul, South Korea. 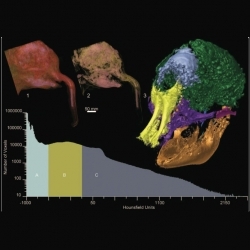 What you learn when you put a baby mammoth in a 3-D scanner. Researchers use computed tomography to take a look inside two mummified baby mammoths. 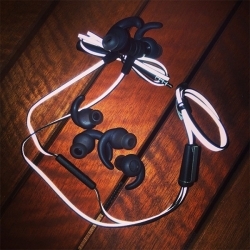 The latest Objects collection from Alexander Wang. 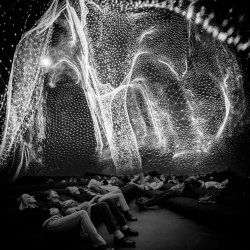 Nimbes, an immersive 15 minute audio-visual experience by Joanie Lemercier and James Ginzburg explores the solitary nature of perception in relation to the physical expansion of the universe. 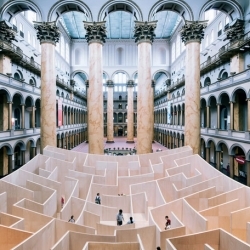 VIDEOThe BIG Maze by BIG-Bjarke Ingels Group. Located in the National Building Museum, Washington . FEATUREDThe NOTFZJ80 Project: Update II! Debadged, detailed, removed running boards, visited Oakley, got Warn Winch, ARB Awning + Roof Top Tent, Snorkel, Rotopax, etc and installed the Roof Top Tent! 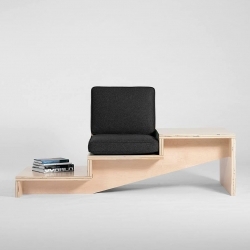 Steps, transforms the staircase’s iconic form into multi-functional seating with built-in tables. 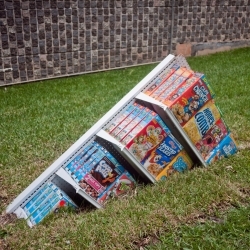 By Geof Ramsay. 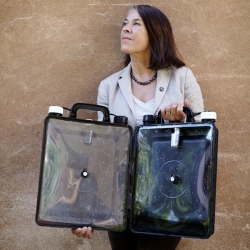 Solvatten - An innovative Swedish invention that uses solar energy to heat and treat water in developing countries. 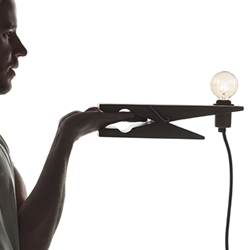 ClampLamp, the creative lamp designed by Ola Giertz for Swedish lighting brand Oriva. 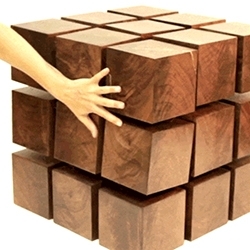 Rock Paper Robot's Float Table utilizes magnets to float and maintain shape. 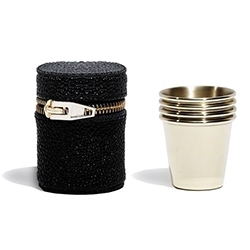 Alexander Wang Set of four pale gold shot glasses in a black snakeskin embossed soft pouch with pale gold zipper closure. 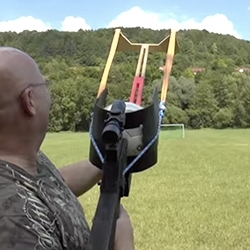 VIDEOGerman Joerg Sprave's latest homemade superweapon - the Football Sling Shot. Wow. 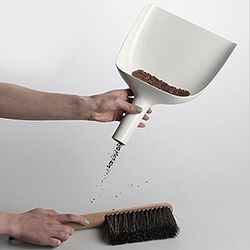 Germany - Brazil... they might as well be using this! 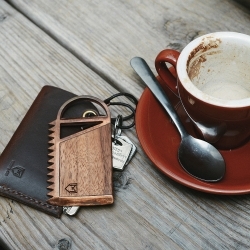 The Make Co. Surfcomb - Cast out of copper and inlayed with Walnut, this surfcomb comes with a locally hand made Leather sheath from Domionion Leather. 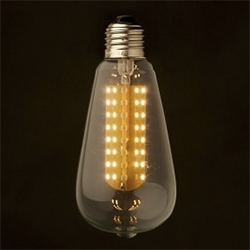 The leather will wear and the copper will tarnish making it nicer with time. 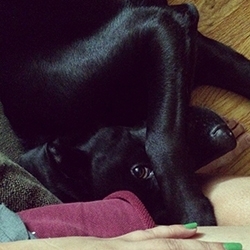 Bucky the NOTpuppy is now nearly 2... here's a peek at what his dog days have been like in NOTlabs. 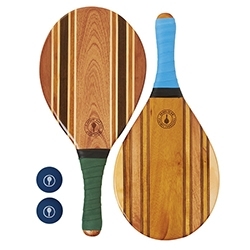 Frescobol Carioca - a brazillian take on that beach paddle tennis game... only with designer paddles handmade from wood offcuts finished with a special surfboard resin and a colourful neoprene grip. 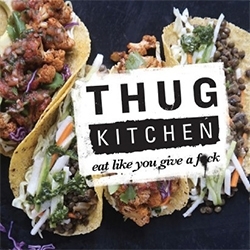 Thug Kitchen! Blog to book - it's finally here! 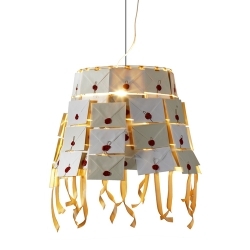 Handmade Love Letter Lamp, every handwritten letter has a special message inside. 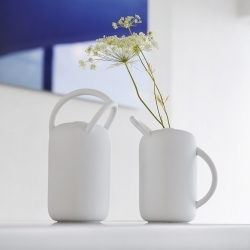 By Megumi Ito. VIDEOBMW M4 Ultimate Racetrack - The BMW M4 Coupé tackles uncharted territory. 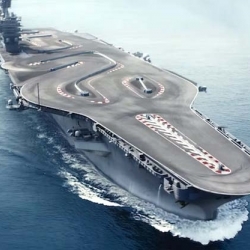 This time, on an aircraft carrier. 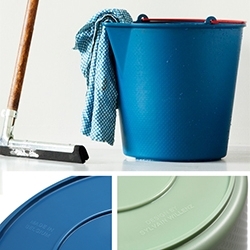 Drop Bucket by Xala - so lovely, so simple, and in fun colors! Made in Belgium. 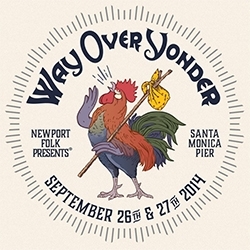 Designed by Sylvain Willenz. 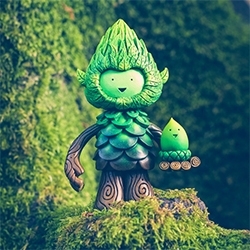 Eggpicnic's critically endangered animal fussball team for Arena Calcetto, site specific & interactive installation created by Archrival Sydney. VIDEOWaves of grain from Keith Skretch. 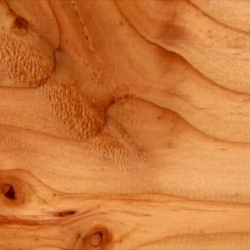 The strata-cut animation was created by planing down a block of wood one layer at a time, photographing it at each pass. 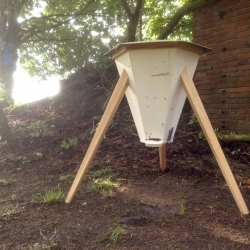 Bee-Hive, developed to give the bees a room which is easier to heat on cold days, to save their energy for health and brood. Beekeeping for beginners. 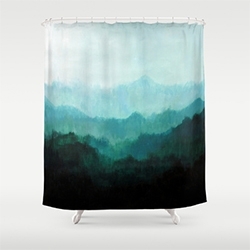 By Sascha Akkermann. 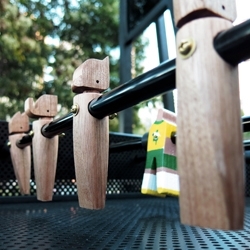 The Ziggy coat hook by Sydney based designer Kristian Aus has been released. 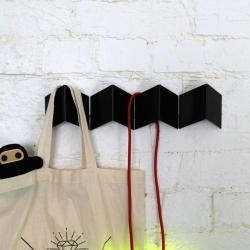 Use them to create functional patterns on your walls! 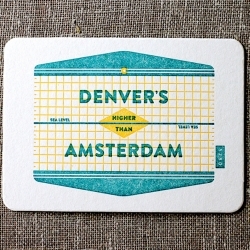 Denver's Higher Than Amsterdam letterpress postcard from Paper Plates Press celebrates geography and the local culture of both cities. 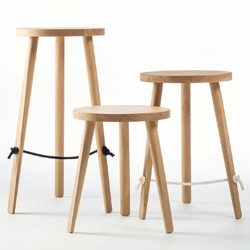 Mariner is a beautifully simple timber stool, designed by Ben Wahrlich, that features a braided rope footrest. 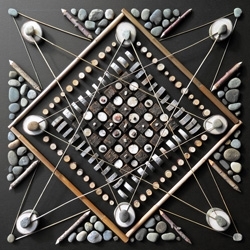 Mosaic Mandala Series : Native Utah Elements. 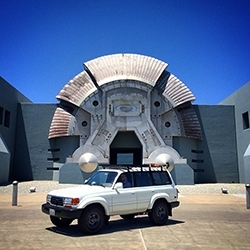 The process and results of Matt W, Moore's artist residency with SUMMIT in Eden, Utah. 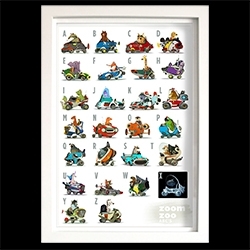 Zoo Zoom - from adorable animals in autos as alphabet flashcards to an A to Z PRINT! 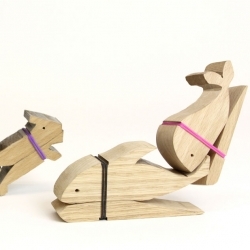 Perfect for kid's rooms... by Mike Yamada and Victoria Ying. 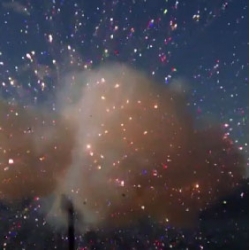 VIDEOFireworks exploding in slow motion from The Discover Slow Down. Nuggets! 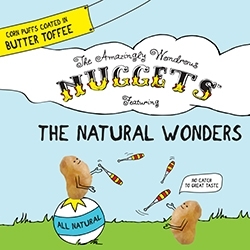 Adorable packaging and addictively delicious - The Amazingly Wondrous Nuggets featuring The Natural Wonders. Corn Puffs coated in Butter Toffee. 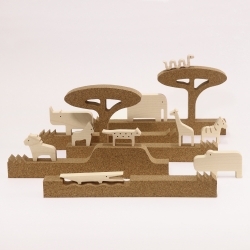 'silhouette - jungle' 5 modular cork profiles to create a wildlife habitat for 10 sycamore wood animals. 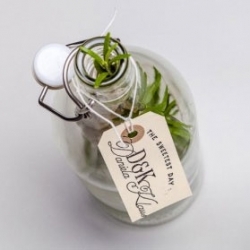 Beautiful wedding stationery and bottles from Bureau Rabensteiner. 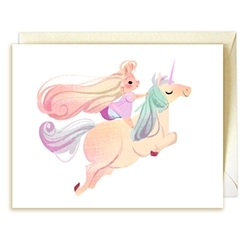 Lovely princess and unicorn set of cards by Mike Yamada and Victoria Ying! 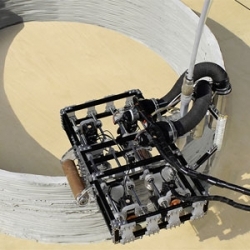 VIDEOMinibuilders, a trio of robots that print and construct larger structures from the Institute for Advanced Architecture of Catalonia. 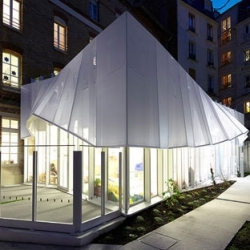 Beautiful nursery extension in Paris from h2o Architectes. 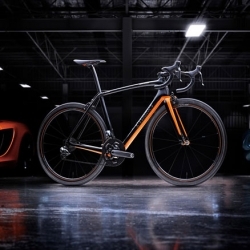 The new S-Works McLaren Tarmac co-developed by Specialized and McLaren. 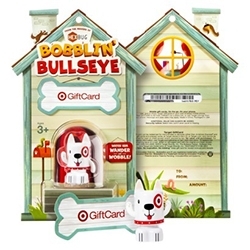 Target Bobblin' Bullseye Bobble Bot Gift Card - this HexBug powered gift card toy will wander and wobble! 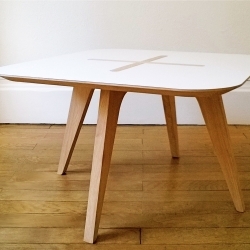 LÉA, coffee table by NAB Design. 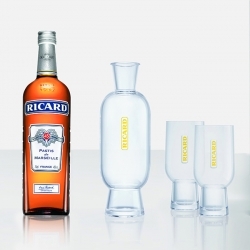 Ricard with a new carafe designed by Mathieu Lehanneur. 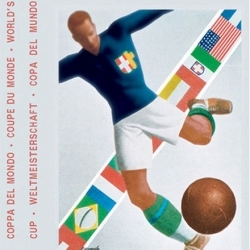 Core77 looks back over 80 years of world cup poster design. 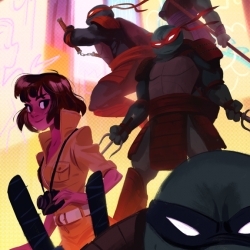 Heroes In A Half Shell: A TMNT Art Tribute Exhibition taking place at Nucleus Gallery. 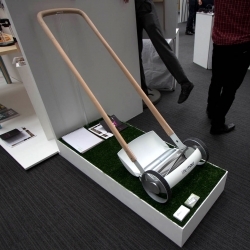 Little mow from Jow McWha, uses an epicyclical planetary gear system with ratchets within the wheels for a more elegant lawn mower. 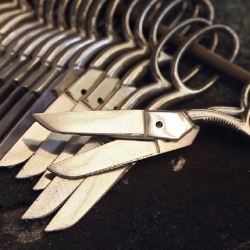 VIDEOBeautiful video showing Ernest Wright & Sons of Sheffield making scissors by hand. 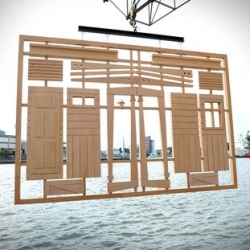 Form Scratch, a life size wooden toy house building kit by French duo artists Kolkoz hangs over the Rhine during Art Basel 2014. The Pine Hive, a beautiful beehive from Jon Steven. 'Pegasus Home Desk' by designer Tilla Goldberg for ClassiCon. 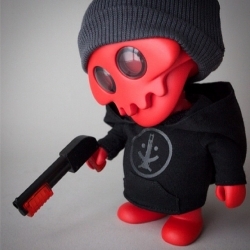 Ferg x Rotofugi SDCC Exclusive - JACK S004 [REDJACK] limited to 125 pieces and includes 2 sets of arms, shotgun with translucent accents, grey watch cap, smile fucker hoodie, patch and removable helmet! 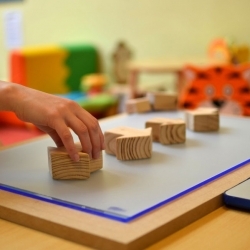 Code Blocks from Scott Robinson gets kids coding by playing with blocks. Interesting physical language for programming. 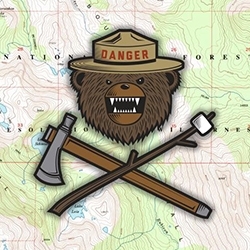 Danger Ranger Bear! 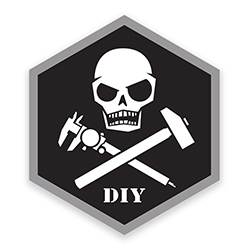 Adorable creature from the freshly launched Prometheus Design Werx is now on tshirts and morale patches. Small things matter. 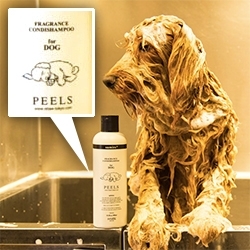 Product Design students at Parsons the New School for Design partnered with Areaware, challenging students to design an inexpensive, point-of-purchase, “impulse buy” gift item. 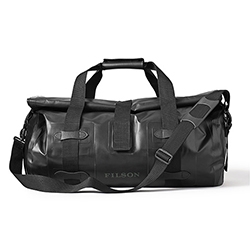 Filson Dry Duffle Bag - vinyl-coated polyester with roll top hook and loop closure keeps everything out. 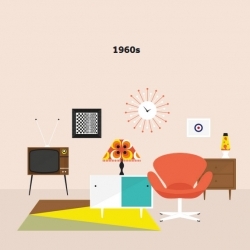 A look back at Interior Design by Decade from Harvey Water Softeners. 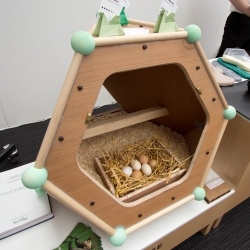 The Urban Hen House by Lucie Bateman, spotted at New Designers. 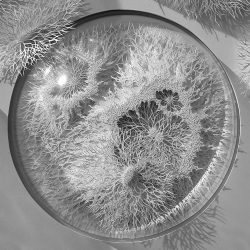 Outbreak, an incredible series of hand cut paper microbes by Rogan Brown. Skol made the first ice pack in the world. 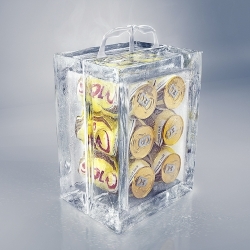 The unique packaging, totally made of ice, was signed by F/Nazca Saatchi & Saatchi and chills without freezing the beer. 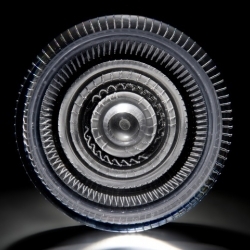 Dynamic Symmetry inspired by crystal symmetry and xray diffraction patterns by Professor Brian Sutton of King’s College London and glass artist Shelley James.